During the annual health exam for your cat or dog vaccines are likely to be discussed. Do you know what vaccines you pet is being given? Do you know why is your vet recommending particular vaccines? Could they be giving vaccines your pet doesn’t need? The careful veterinarian knows that vaccines are not without risk and will choose only the vaccines that are appropriate for your pet. Using a vaccine clinic may be quick or save a few dollars per vaccine, but are the people giving the vaccines asking about your dog’s exposure to other dogs or whether your cat goes outside? A careful veterinarian will ask these questions to avoid over vaccination, where a vaccine clinic’s goal may simply be to sell as many vaccines as possible, regardless of risk. If your pet gets more vaccines than is actually necessary you may end up spending money on vaccines you didn’t even need! Did you know that many different qualities of vaccine are available and some may be safer than others? This is of significant concern particularly in cats. 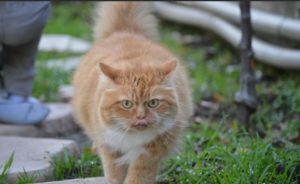 A recent study from UC Davis showed that incidence of cancer rose ten-fold in cats given vaccines that had adjuvant in them. Certain vaccines are readily available in a non-adjuvant form but do cost a little more. Inquire about the vaccine your cat is getting to be sure it is the safest available. In dogs, some vaccines are available that can be given in the mouth, completely avoiding the pain of the injection. Wouldn’t it be great to get your vaccinations pain free? Two excellent sources to research vaccinations would be the core vaccination schedule as indicated by the American Animal Hospital Association https://www.aahanet.org/publicdocuments/caninevaccineguidelines.pdf and the American Association of Feline Practitioners http://www.catvets.com/guidelines/practice-guidelines/feline-vaccination-guidelines If your veterinarian is using these documents to guide your pets vaccination schedule then they are on the cutting edge of vaccination quality. These resources help us choose only the vaccines that are recommended based on your pet’s unique lifestyle. Many options are available as you choose where to obtain your pet’s vaccines. Informed choices cost less in the long run, help prevent disease, and could potentially be less painful, which creates excellent value. Working with a veterinarian at Copper Hill Animal Clinic will help you choose exactly what vaccines are needed for your unique pet!